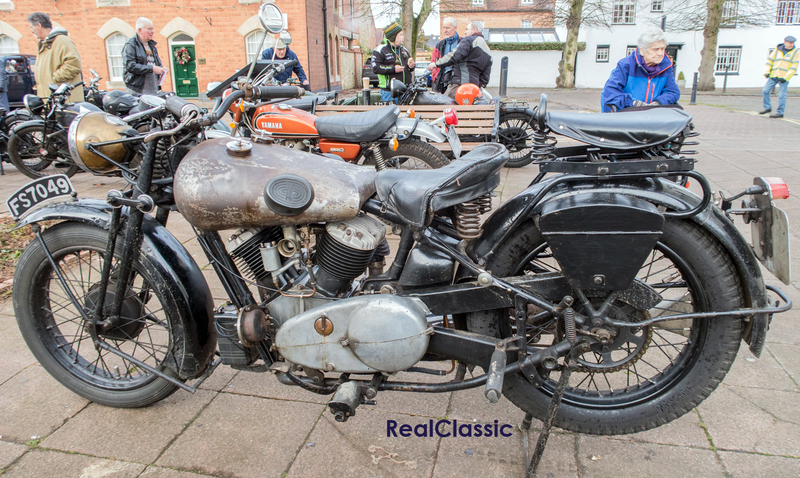 It was with some considerable delight, therefore, that I spotted this one on display at Vintage Stony; a Brough Superior whose superior status came from its originality and the fact that it wore its life and age with undeniable class. This machine was sold in new in 1933 by Rossleigh of Edinburgh, founded by William Lowrie Sleigh and Thomas Fraser Ross. 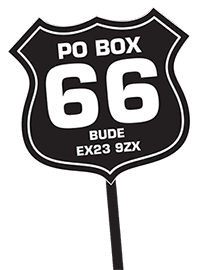 The partners left their jobs with the Post Office to sell bicycles in 1899, moving on to motorcycles and cars as time and technology progressed. 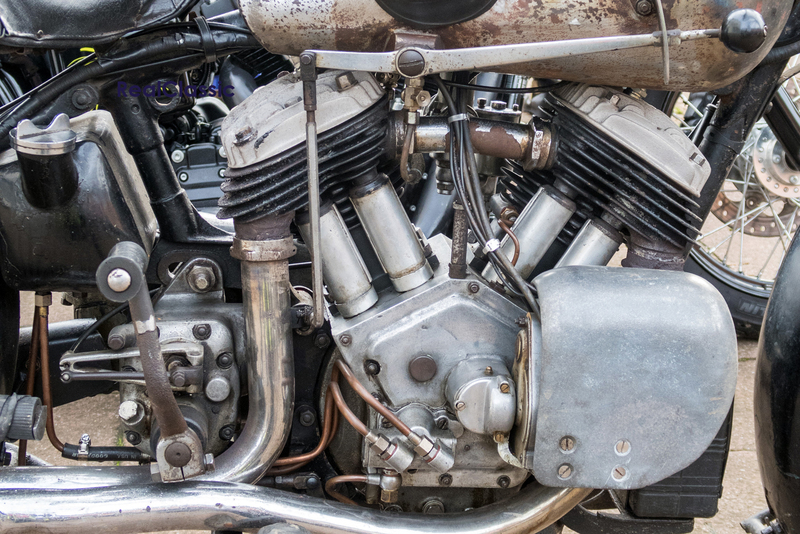 The 11-50 JAP-engined machine would have been one of 73 manufactured by George Brough for the first time that year; it was the largest capacity Brough in the range during its six year lifespan. The model designation reflected Brough’s performance promise: 11 horsepower based on the RAC rating and 50bhp from the engine (although apparently, 32bhp was closer to the mark). 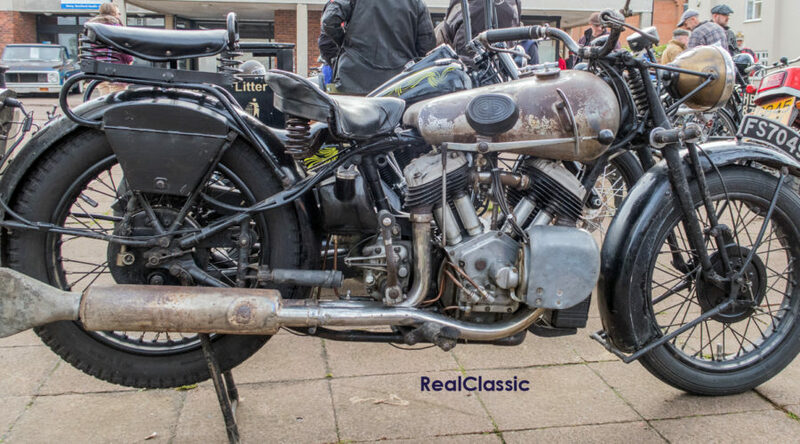 The 11-50 engine used dry sump lubrication and roller-bearing bottom end; bevel-driven magdyno (which swapped to chain in 1934 as the bevel drive was felt to be too rattly and unrefined); quickly detachable cylinder heads with fully-enclosed valve gear – a boon for riders of the time who didn’t appreciate being spattered with oil from top-end lubrication. 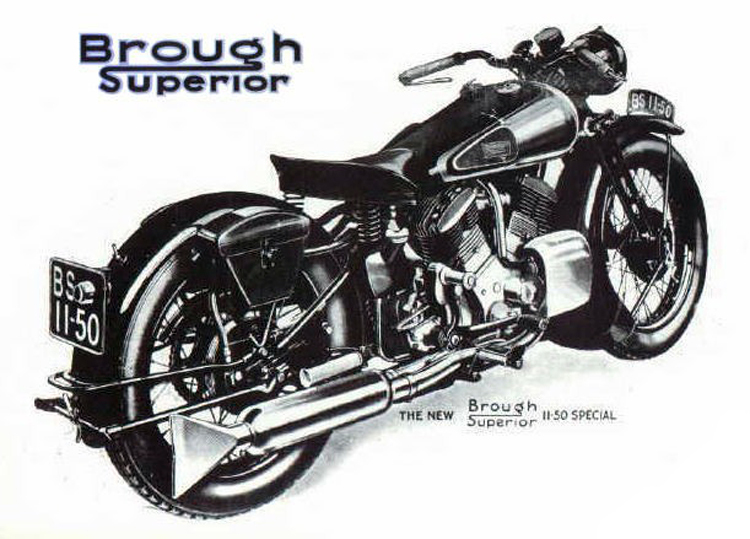 While other bikes in the Brough stable arranged their cylinders in a 50-degree vee, the 11-50 engine was angled at 60-degrees to give it more torque. It ran at 5:1 compression so could cope with varying qualities of petrol – which made it ideal for municipal or military duties in the colonies. And indeed, many 11-50s spent much of their lives overseas. It’s believed that up to one-third of the total production run (around 300) were sent to Australia for use by the Victoria police force. 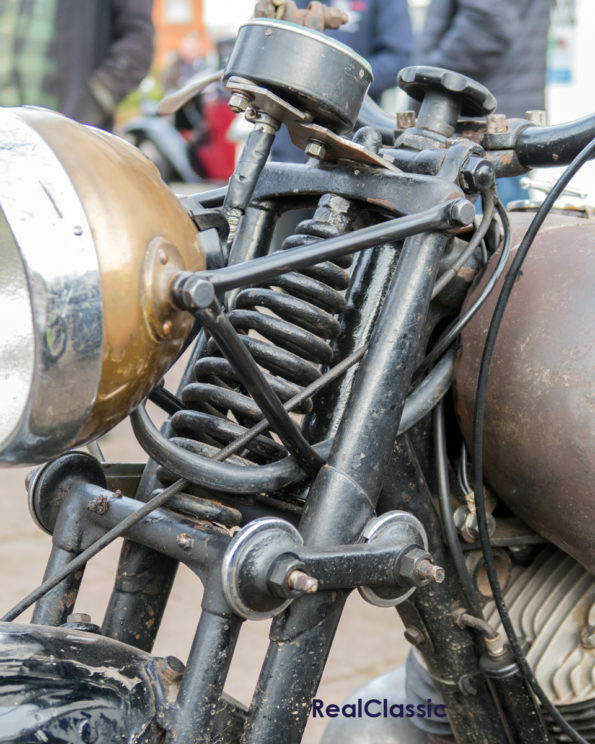 The 1096cc sidevalve motor was housed in Brough’s cradle frame with Brampton Monarch girder forks as standard, or buyers could upgrade to Castle forks. 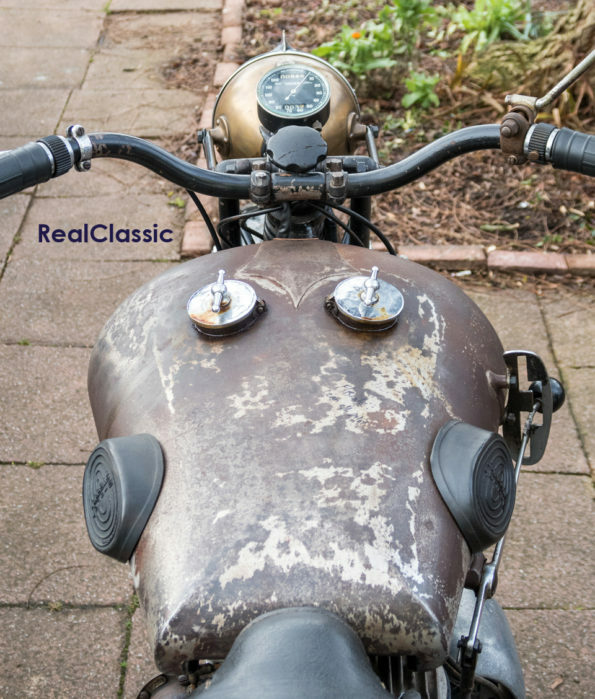 There was also an option to specify the sprung, Bentley and Draper frame as seen on Brough’s sportsters although the vast majority of 11-50s were sold as rigid machines, which was considered more suitable for a heavy tourer which might well pull a sidecar. This Brough returned to the mainland in the early 1960s. Since then it appears to have had a full life which has included some sprinting at Santa Pod. The present owner describes it as ‘scruffy but a good runner,’ and who are we to argue? ‘Well-used’ may be a more positive description than ‘scruffy’. In any event, whatever adjective is used to describe it, long may it continue in its present form where its appearance accurately records its long years of service and pleasure.